The NFL's Jacksonville Jaguars are scoring big points on the field, and on Twitter and Facebook. How are they doing it? At the beginning of this season, SnapStream's social TV tools joined the Jaguar's digital team to up their social game. The stats have been STELLAR. It's exceeded their expectations. The Jags had an initiative to use more animated GIFs this season, to drive fan engagement and better keep up with the pace of the game. 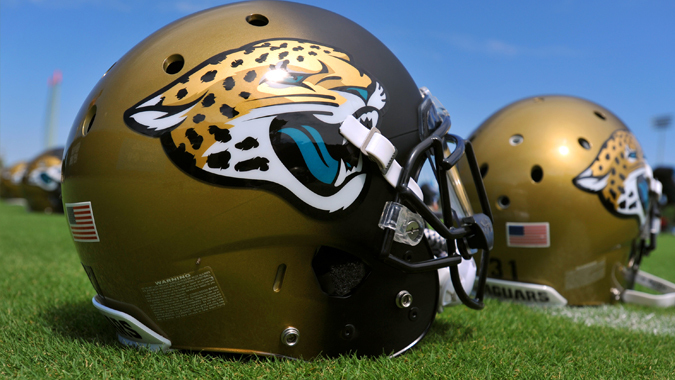 SnapStream helps the Jags rapidly fire GIFs onto Twitter / Facebook in 19 seconds flat. Perfect for play-by-play coverage on social. Pre-SnapStream, it used to take them 45 minutes to create and post any clips or GIFs. Alex was drinking a Bud Light at a home game when Jaguars Owner Shad Khan asked him if he was #UpForWhatever! This entry was posted on Tuesday, November 03, 2015 at 07:20 AM. You can follow any responses to this entry through the RSS feed.